Home > Special Offers > Service & Parts > Get the Ultimate Product for Rust Protection! Get the Ultimate Product for Rust Protection! 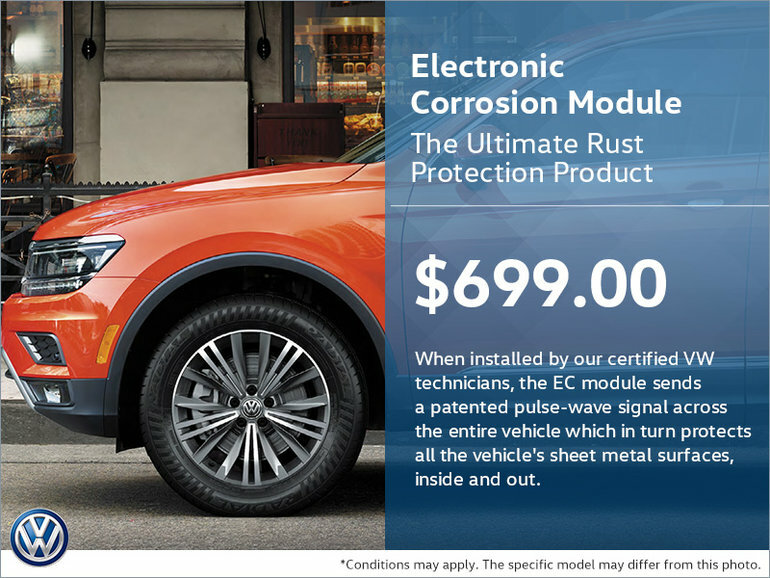 Get the Electronic Corrosion Module, the ultimate product for rust protection! Have it installed by our certified technicians to maintain the look, scent, and feel of a brand new Volkswagen!